Uganda has a warm tropical climate, with temperatures ranging from 25-29°C (77- 84°F), apart from in the mountainous areas, which are much cooler; the top of Mount Elgon is often covered with snow. The hottest months are December to February. Evenings can feel chilly after the heat of the day with temperatures around 17- 18ºC (63-64°F). Most regions of Uganda, apart from the dry area in the north, have an annual rainfall of between 1,000mm and 1,500mm. There is heavy rain between March and May and between September and November, making road travel difficult in parts of the country. The best time for trekking is during the dry seasons, between January and February and June to August. Wildlife viewing is best at the end of the dry seasons, when game is more concentrated around water sources. Lightweight clothes with a warm cover-up for the evenings are advised. Short or revealing clothes should be avoided - women should avoid shorts in particular. Knee-length skirts or dresses are more acceptable. Take a pair of good walking shoes or boots for forest trekking, and long-sleeved tops to protect against mosquitoes. If you’re planning to go to mountainous areas, be sure to take warm clothing, as temperatures drop substantially. White clothes won’t stay white for long with Uganda’s red dust roads, so go for darker colours. Travellers can also pick up bargains at second-hand clothes markets in Kampala, Jinja and Fort Portal, which sell trousers, boots and fleeces. Landlocked, Uganda lies between the eastern and western sections of Africa’s Great Rift Valley. The country shares borders with South Sudan to the north, Kenya to the east, Lake Victoria to the southeast, Tanzania and Rwanda to the south and the Democratic Republic of Congo (DRC) to the west. Whilst the landscape is generally quite flat, most of the country is over 1,000m (3,280ft) in altitude. Mountainous regions include the Rwenzori Mountains that run along the border with the DRC, the Virunga Mountains on the border with Rwanda and the DRC, and Kigezi in the southwest of the country. An extinct volcano, Mount Elgon, straddles the border with Kenya. The capital city, Kampala, lies on the shores of Lake Victoria, the largest lake in Africa and second-largest freshwater inland body of water in the world. Jinja, located on the lake, is considered to be the start point of the River Nile, which traverses much of the country. 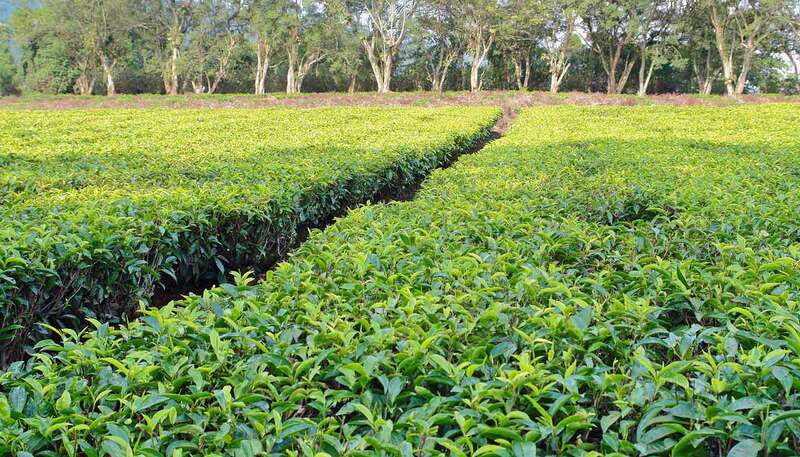 The varied scenery includes tropical forest, a semi-desert area in the northeast, the arid plains of the Karamoja, the lush, heavily populated Buganda, the rolling savannah of Acholi, Bunyoro, Tororo and Ankole, tea plantations and the fertile cotton area of Teso.